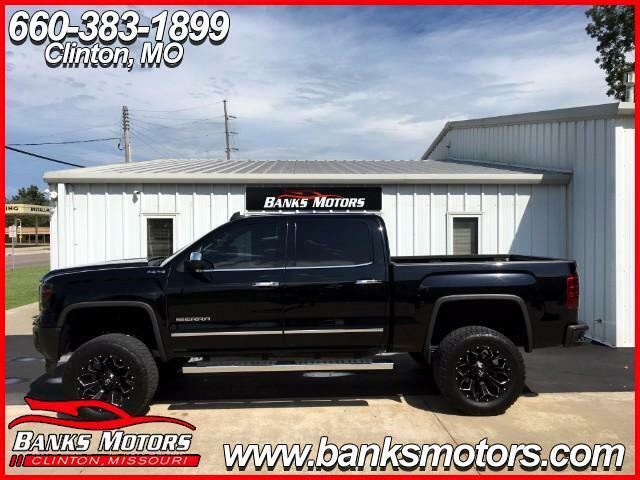 LIFTED 2015 SLT Sierra 4WD!! What a BadBoy we have here!! Clean History! Over $6,000 in upfit! This Sierra is loaded up with tons of awesome options which are.....6" FabTech suspension Lift, 35" Nitto Terra Grappler G2 tires, black 20" Fuel Assault Wheels, Custom Tinted windows, Spray In Bedliner, Heated Leather seating, Bose audio system, Heated steering Wheel, Dual climate control, Bluetooth, Dual Climate Control, steering wheel mounted Audio controls, adjustable foot pedals, Cargo lighting, rear Sliding back glass, Custom cargo Tiedowns, Tow/Haul mode and so so much more!! !